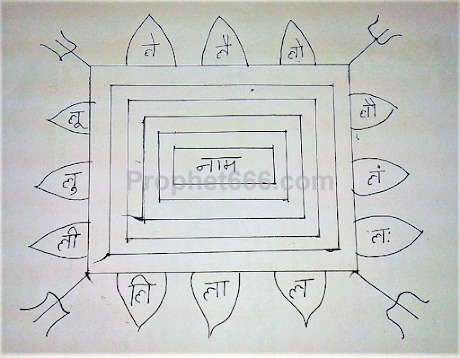 A most powerful Yantra to control the mind of any person, including a powerful person, like your superior office, boss or a person in authority or an enemy, rival or competitor has be described by me in this post. 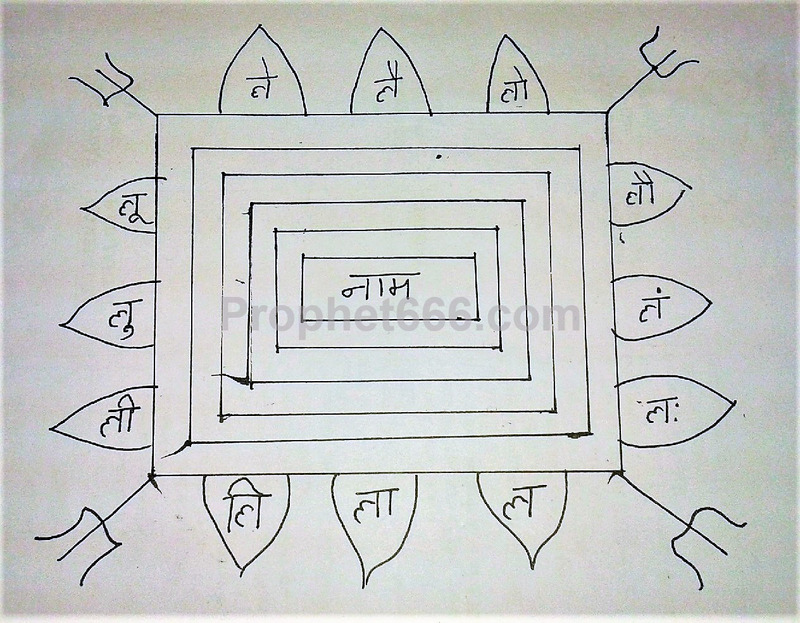 This is specific kind of Vashikaran Yantra, which is also sometimes addressed as a Mahamrityunjay Yantra. This is a very ancient Yantra and Mahamrityunjay in the context of the naming of this Yantra should be taken as most powerful and effective. The simple procedure given below has to be followed in order to make and use the Vashikaran Yantra for controlling the minds of superiors and enemies. 1] The Vashikaran Yantra can be prepared on any day, by sitting down comfortably facing the North Direction and drawing the Yantra. 2] It can be prepared on Bhojpatra or a white colored piece of paper using Ashtagandha Paste as the ink and an iron nail as the pen. The name of the person who is the end target should be written in the center of the Yantra in place of the word – नाम. 3] Then, the Vashikaran Yantra has to be worshiped by placing it on a wooden board and lighting an oil lamp and incense stick before it. 4] After this, the spell caster has to take the Vashikaran Yantra to any lonely and isolated place and keep it under a large stone or rock. Then, when the spell caster goes and meets the superior officer, boss or powerful person, that person will become friendly and co-operative and act as per the wishes and desires of the spell caster. If the targeted person is an enemy, rival or competitor, then that person will forget the enmity or rivalry and become friendly and amicable. Those who are unable to properly see the words given in the Vashikaran Yantra can refer to to the text description given below. Is it a one time prayog ? Any special benefit for preparing on Diwali night? Can be performed for judges also ? It is a onetime prayog, which can be practiced anytime, including Diwali and the benefits are same for all days, it can also be performed on judges. How long does this last. The Yantras should only be prepared using the procedure described in the posts, which is as per the method given in the posts, if there is an alternative, it is also mentioned in the concerned posts.